European Travel Information and Authorization System or ETIAS is the VWP or visa waiver program created by the European Union to strengthen its security and protect the borders. The main goal of this electronic system is to identify threats from travelers who visit the European Union from countries that don’t require a visa to enter the EU. The system is planned to come into effect in 2021. Visitors to currently don’t need a visa to enter the EU will have to apply for the ETIAS from 2021. This article provides information on what is European Travel Information and Authorization System. There are more than 60 countries that may have to apply for the travel authorization to enter the 26 member countries that compose the Schengen Zone. The EU plans to introduce the system to more than 60 countries in the future. This scheme is quite similar to the ESTA implemented by the United States border protection authority. The ETIAS is valid only for travelers who plan to enter the Schengen Zone for less than 90 days for business or vacation purposes. If you plan to come for more than 90 days or for any other purpose, you need to apply for a traditional visa to enter the Schengen Zone. The process is 100% online which takes less than 5-10 minutes to complete. You will get an immediate response from the authorities. You should have a valid email address and credit card to pay the small fee when applying for the European Travel Information and Authorization System. This authorization can be used only for transit, business, and vacation purposes. 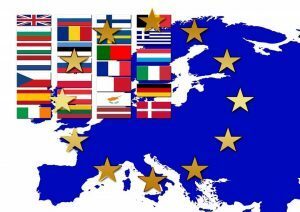 If you are searching for information on the European Travel Information and Authorization System of Europe. It is a visa waiver program for countries that don’t need a visa to enter the European Union.